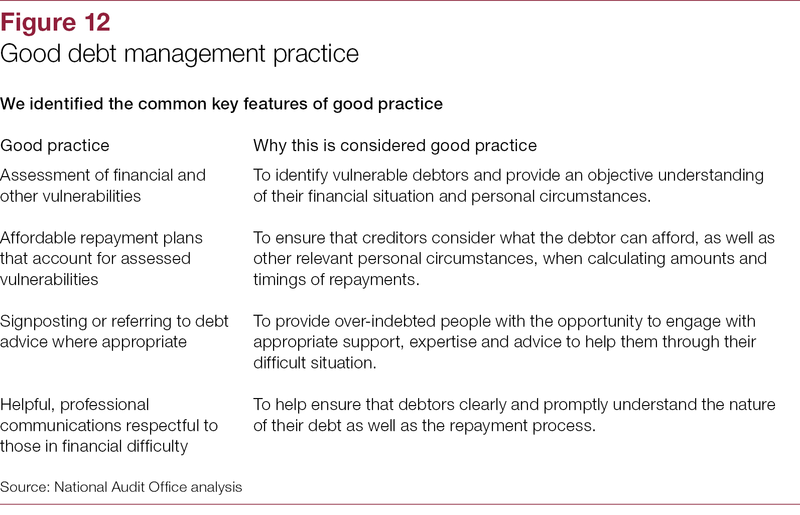 Over-indebtedness, or problem debt, is when someone becomes unable to pay their debts or other household bills. 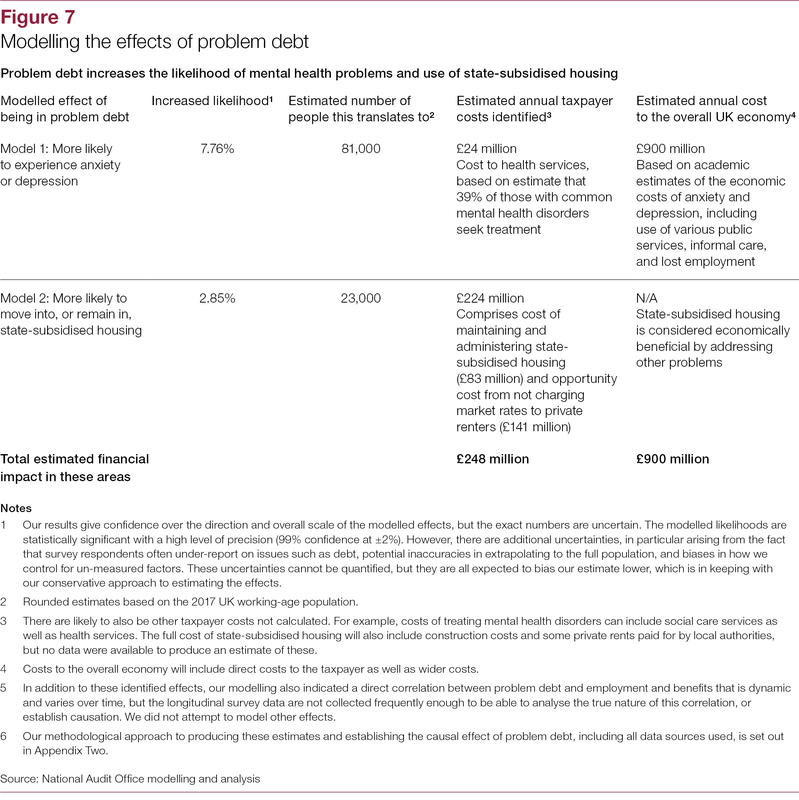 Debt problems are detrimental to people’s wellbeing, and can lead to higher use of public services such as mental health services and state‑subsidised housing, with resulting costs to the public purse. 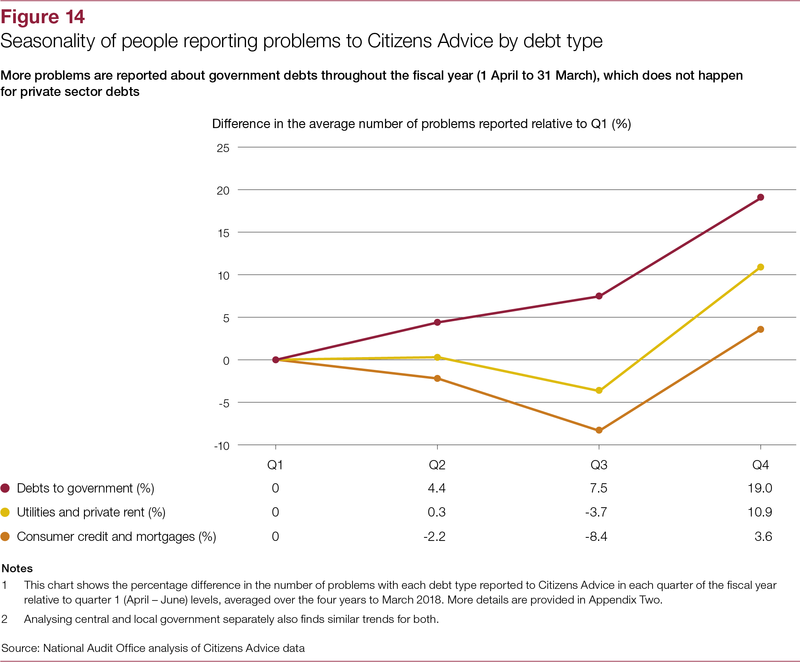 Over-indebtedness also results in costs to the wider economy, for example through lost productivity or increased crime. 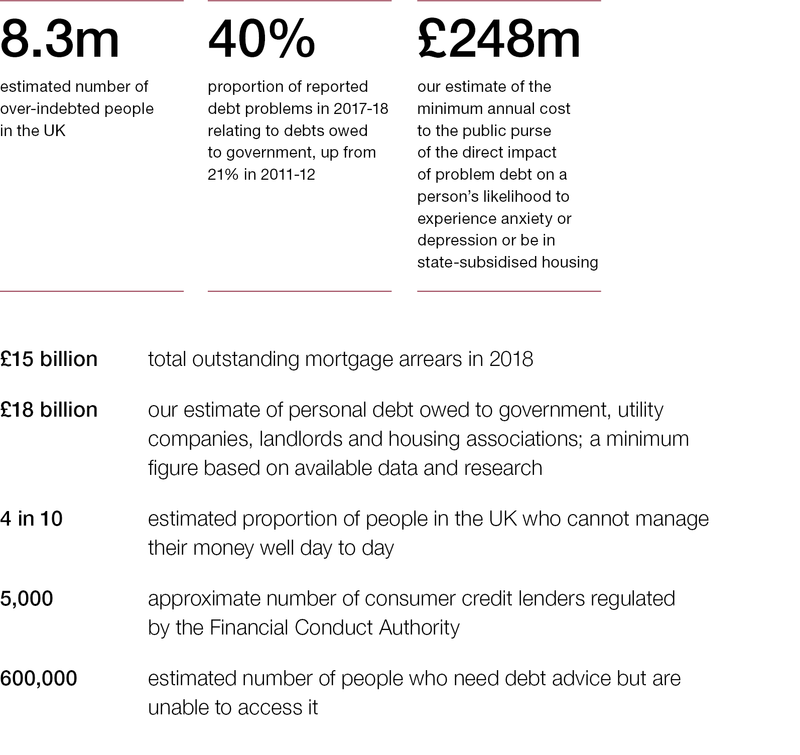 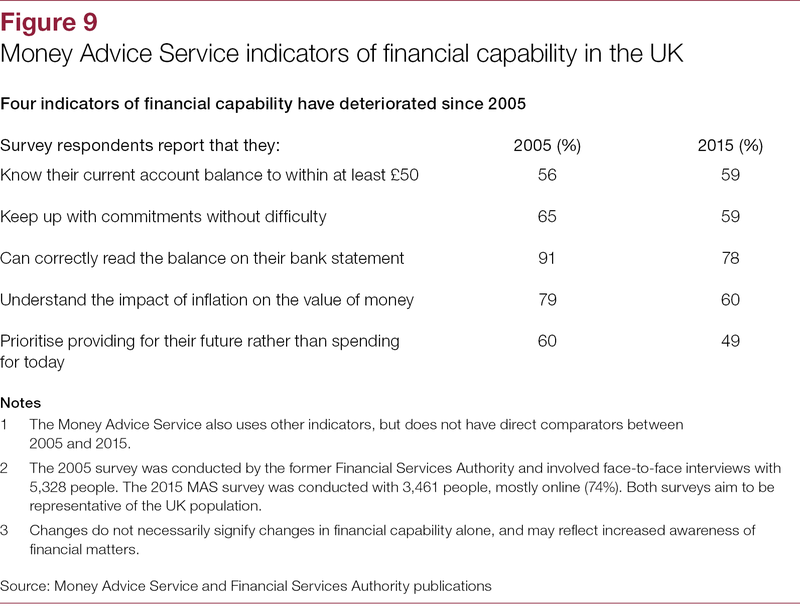 The Money Advice Service (MAS) estimates that 8.3 million people in the UK are over-indebted, and that 22% of UK adults have less than £100 in savings, making them highly vulnerable to a financial shock such as job loss or large unexpected bills. 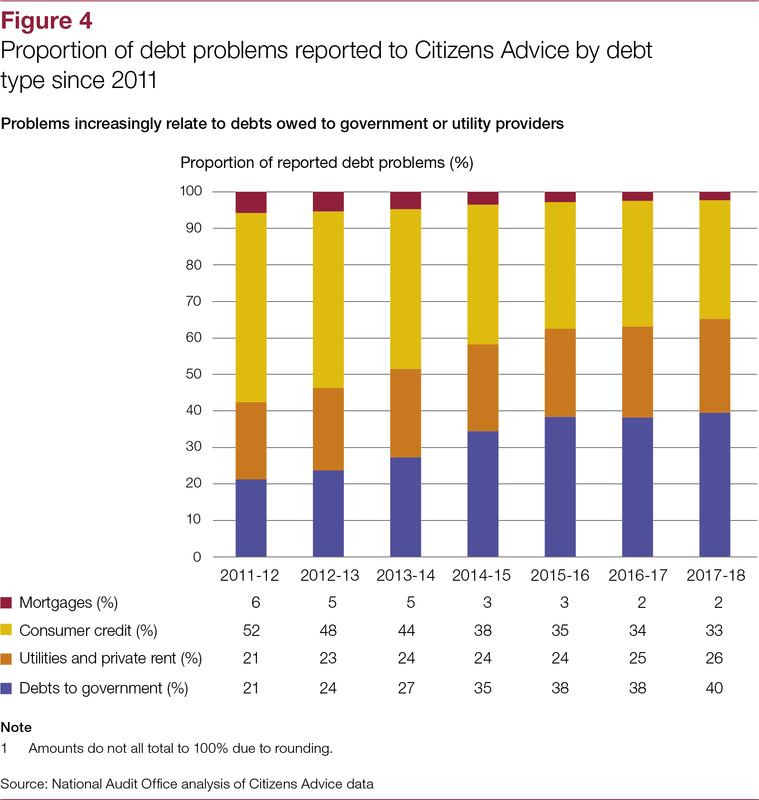 The ratio of unsecured debt to household income has been increasing since 2014.
the extent to which government as a whole adopts best practice in managing its own debtors, and supports over-indebted people more generally through debt advice and other protections (Part Four). 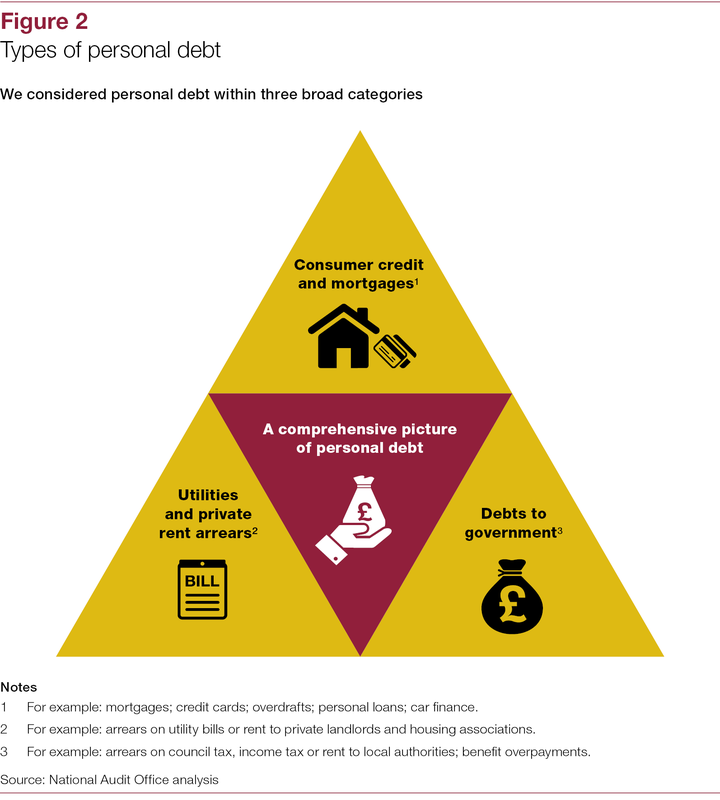 HMT is taking a thoughtful and well-intentioned approach to excessive indebtedness. 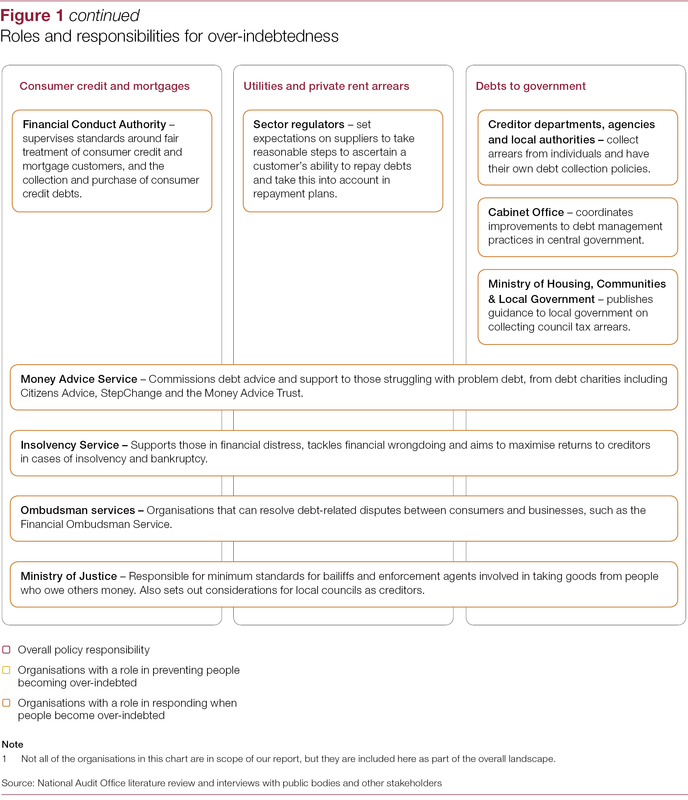 It recognises that this has significant damaging effects in terms of public and economic costs, as well as on individuals, although these are not quantified. 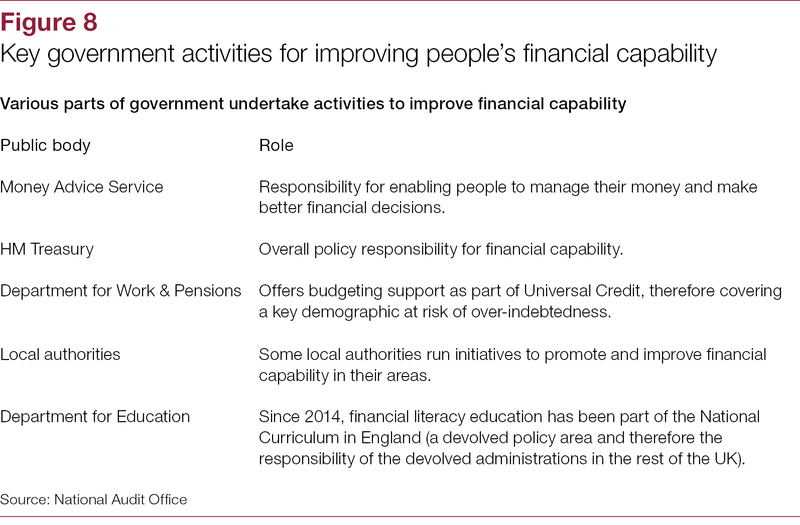 The effort to provide support across multiple government actors has become more coherent in recent years. 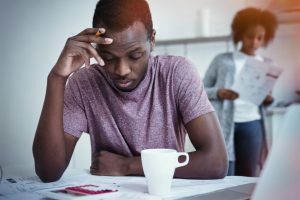 However, the problem has not stood still. 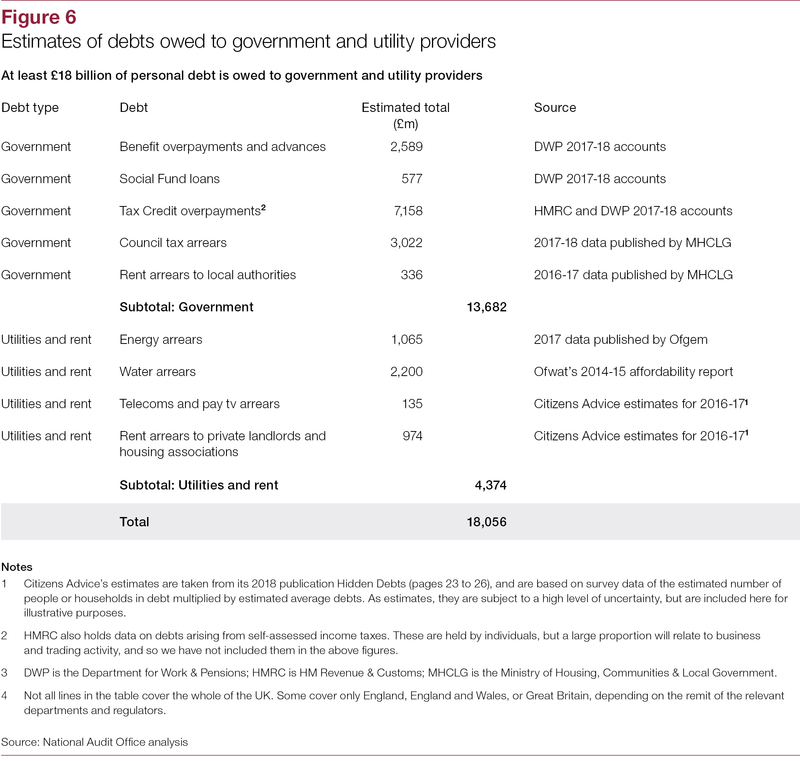 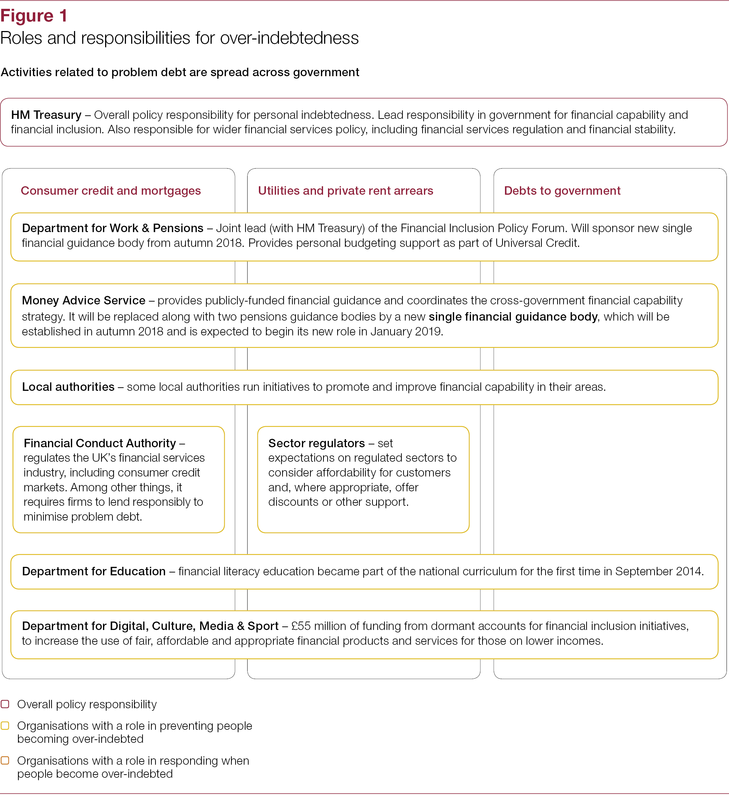 Utility providers and the public sector have emerged as major components of debt problems. 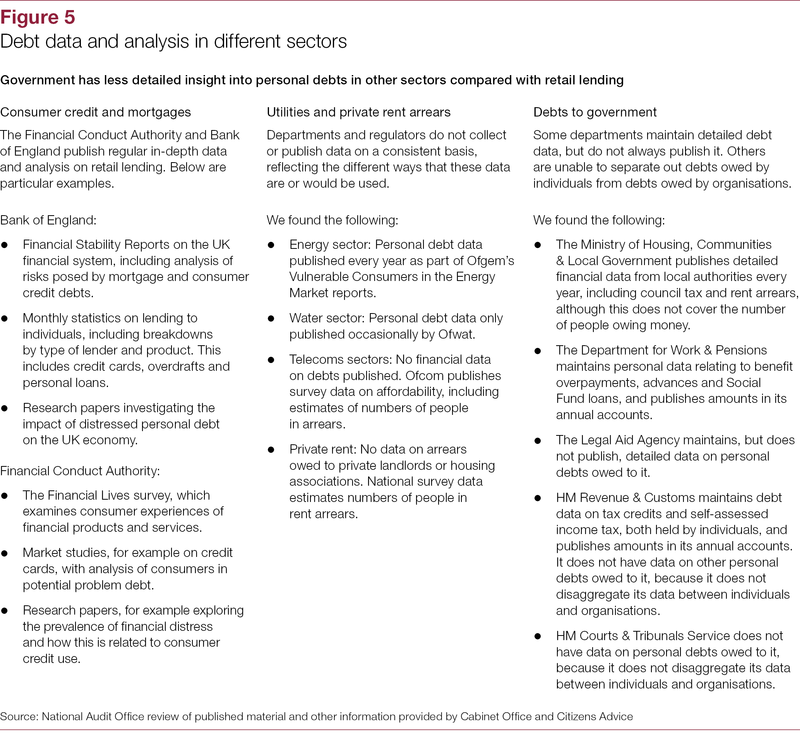 The information available in these areas is, disappointingly, much less coherent or transparent than commercial debt information. 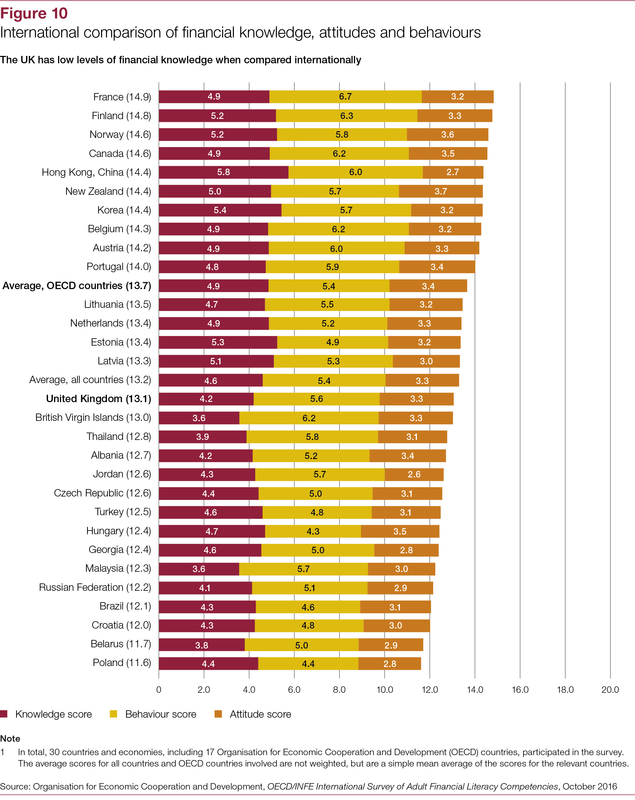 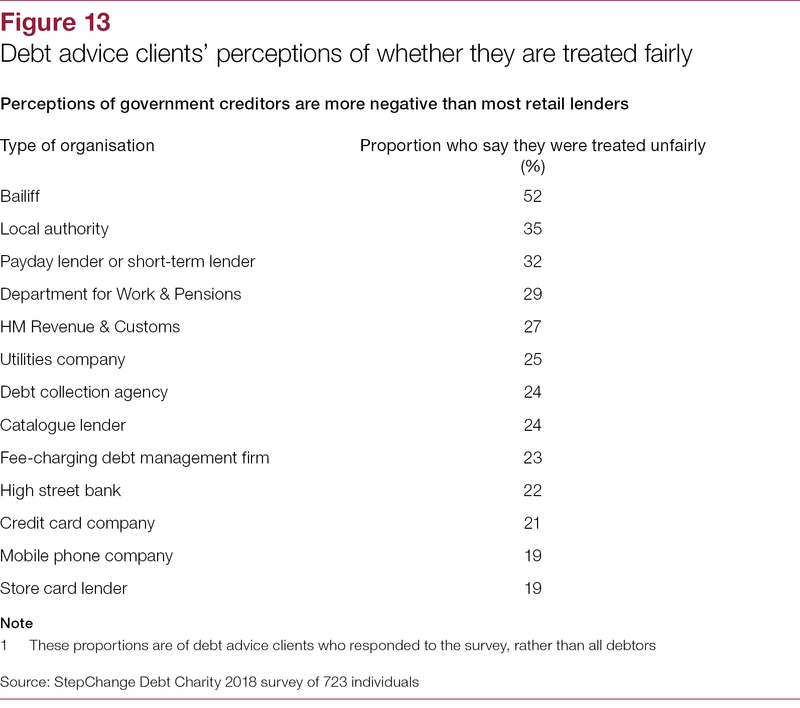 There are also crucial areas, such as debt collection, where public oversight lacks impact. 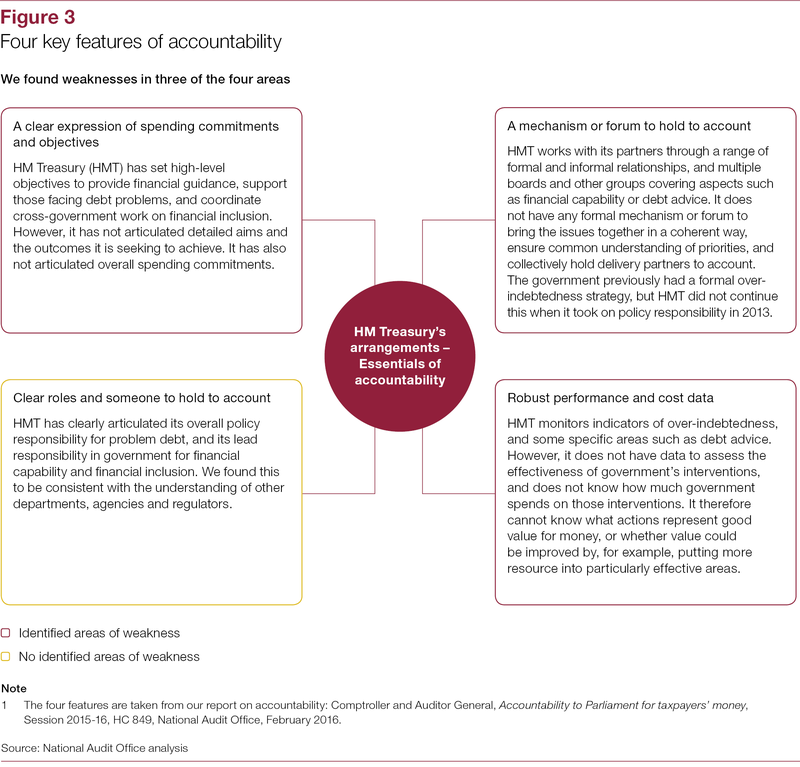 While recognising the positives, we conclude that HMT cannot promote improvement in the management of excessive debt as effectively as possible across a wide network without fixing the weak links. 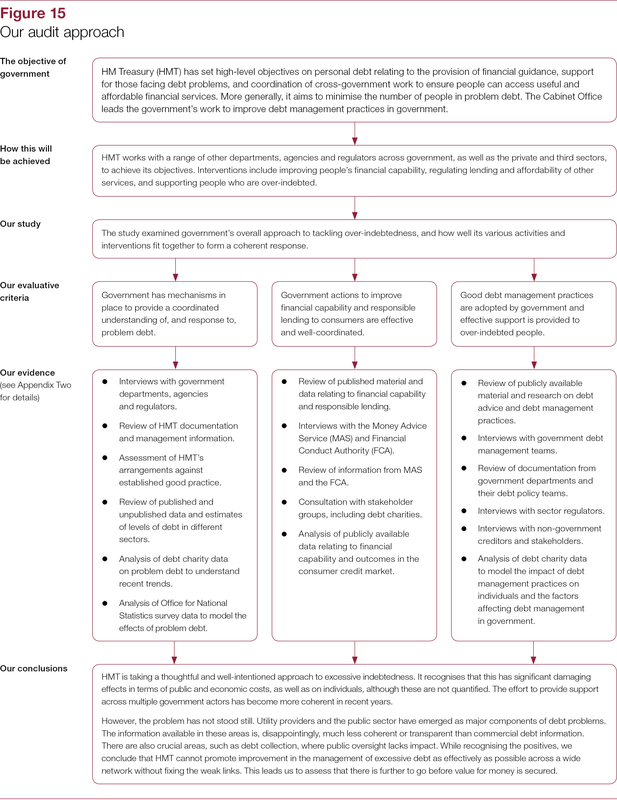 This leads us to assess that there is further to go before value for money is secured.